Are you in the faith? Do you know that for sure? What is the standard you use to know that? I prayed the sinner’s prayer. Preacher told me I was saved. These are all measures that people may use to try to assure themselves that they are a Christian. 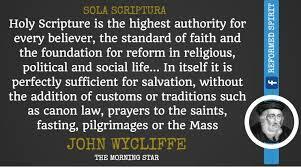 However, not one of them is revealed by Scripture to be a standard by which we measure anything concerning our faith. We are in the process of applying Paul's admonition from 2 Corinthians 13:5 to examine ourselves whether we are in the faith. The first one, to know that we know Him, was our subject last time. I like the New Living Translation of this verse—"...truly show how completely they love Him"—as compared to the King James, which reads, "...in him verily is the love of God perfected." The NLT brings out the subtle nuance of our love for Jesus being shown in an outward fashion. The KJV leaves it as something that is on the inside of us without necessarily being manifested. Are you living in Him? Are others able to recognize that as a reality in your life? How can they tell? If your answer is based on a standard outside the Word of God, then you probably say something like, "They say 'I'm a nice person.'" Or, "They say, 'You never do things like you used to do.'" Others are not our standard, neither do they understand the standard by which we live. Do you obey everything in the Word of God? Probably not. There is probably no one alive today who does. Actually, that is the wrong question, though many will throw that up as an excuse to prove that they cannot obey the Word. The correct question is, "Do you obey all that God has revealed to you?" It is in that place where we are able to measure "how completely we love Him." The completeness of our love for the Lord is measured by how well we obey that which we have been given. In that place, there are no excuses that will exonerate us from complete obedience. This should not be viewed negatively. Do not focus on how much you don't obey the Word. Rather look at how well you do obey. That is the measuring stick, the plumbline. It should be fairly obvious to any who have ears to hear and eyes to see that obedience to the Word of God is a necessary ingredient of a fruitful life in the Lord Jesus. No rationale is sufficient to persuade otherwise. If you have been dissuaded from the necessity of following the Lord's commands by any teaching, then maybe you should get back into the Word on your own and for yourself to see what it truly says about this subject. While John Lennon's statement, "Love is all we need" is true, it is necessary that we understand 'love' from God's standpoint and not that of the Beatles.